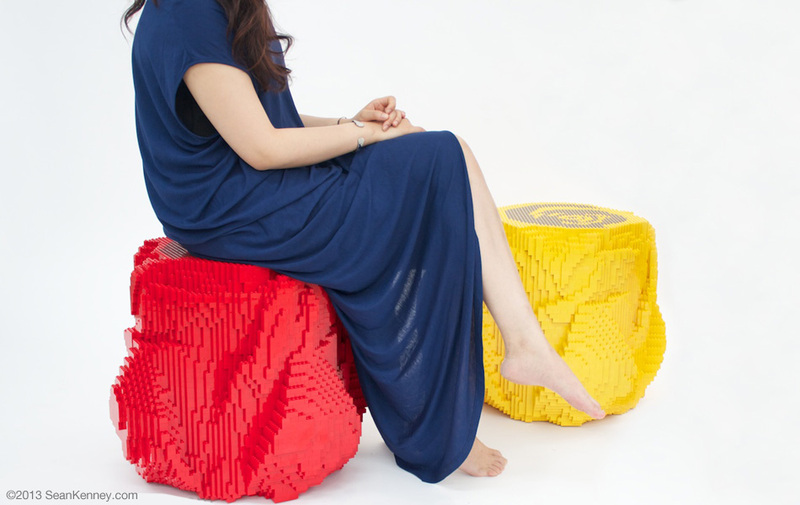 My thought with the design was to first imagine that it wasn't made with LEGO pieces at all, and instead was fabricated with plastic or wood or metal; how, then, would a manufacturer achieve the look of a functional stool that bore resemblance to a tightly-furled rosebud? Thus the idea for this piece was born, drawing inspiration from a large rose sculpture I'd created years earlier. Additionally, the sculpture is reinforced with a sturdy steel frame to support the weight of a grown adult, and is entirely glued for stability. The stools are now permanently installed at APM mall, so if you're ever in town go take a look (and a sit) !